Indian tennis ace Rohan Bopanna and his Croatian partner Ivan Dodig showcased a spirited performance as they bounced back from a set down to book their place in the quarter-finals of the 2017 Western and Southern Open in Cincinnati here on 18 August. After suffering a defeat in the first set by a whisker, the Indo-Croatian duo bounced back strongly to post a 5-7, 7-5, 10-8 win over the Colombian-Italian team Juan Sebastian Cabal Fabio Fognini in a thrilling last-32 clash of the men's doubles event. 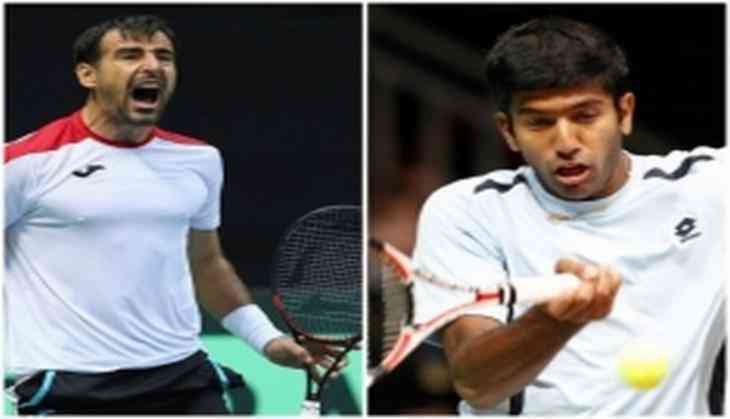 Bopanna and Dodig, who are seeded seventh in the tournament, will now cross swords with Brazil's Marcelo Melo and Poland's Lukasz Kubot for a place in the semi-finals. It should be recalled that Bopanna and Dodig finished as the runner-ups in the Montreal Masters after losing to French pair of Pierre-Hugues Herbert and Nicolas Mahut in the finals. Meanwhile, Bopanna is the lone Indian left in the tournament after Ramkumar Ramanathan's second-round exit in the singles and Leander Paes' shocking first-round defeat in the men's doubles event, with Germany's Alexander Zverev.